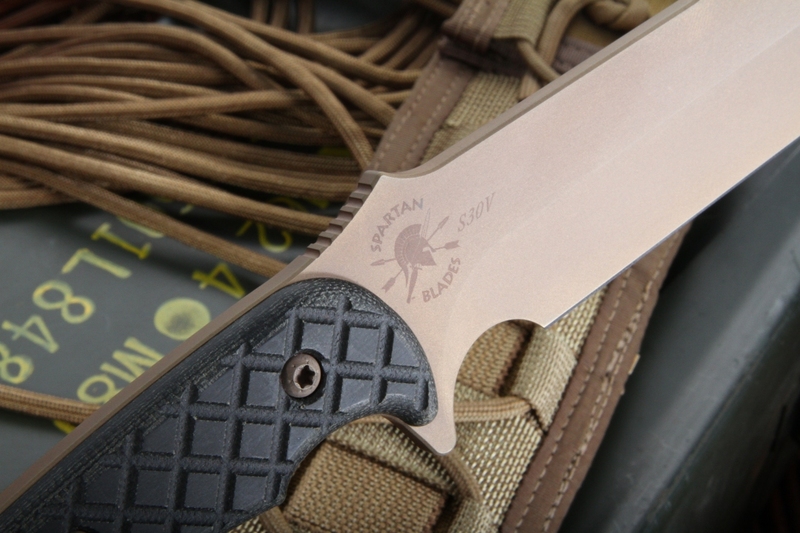 The Spartan Horkos was not only designed by former US Special Forces, it was commissioned to be made by the Combat Weapons Team of West Point (US Military Academy). 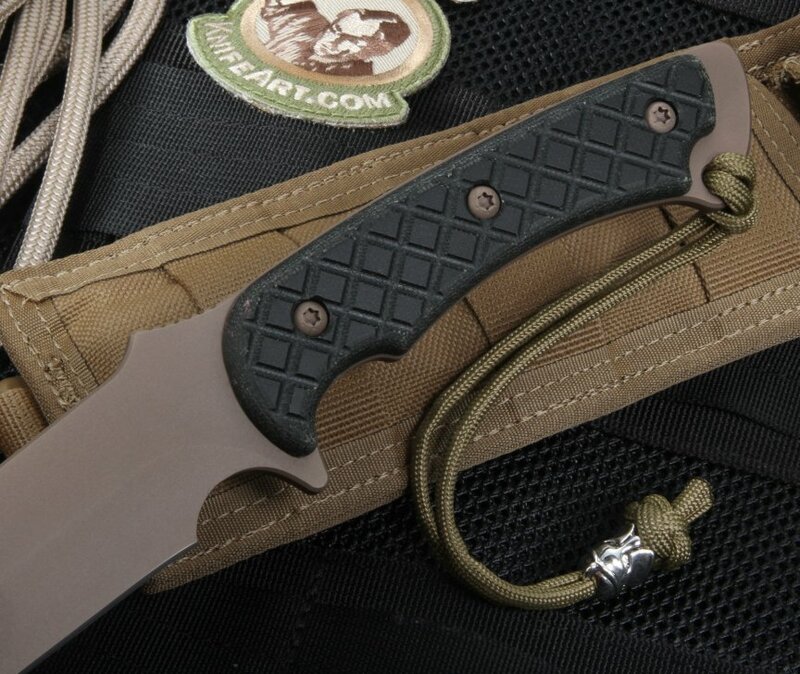 This knife is designed to be an all-around combat knife and field tool with its drop point blade and full tang construction. 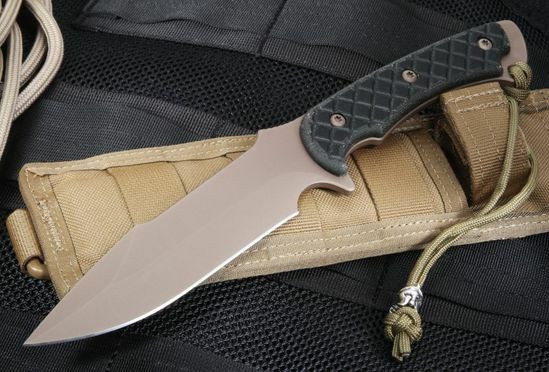 The Horkos design features a filed thumb ramp on the top of the blade and index finger guard on the handle. The design also features an exposed tang in the rear of the knife and a long false top edge. The coating keeps the RC 58-59 Crucible S35VN stainless steel both protected and non-reflective. 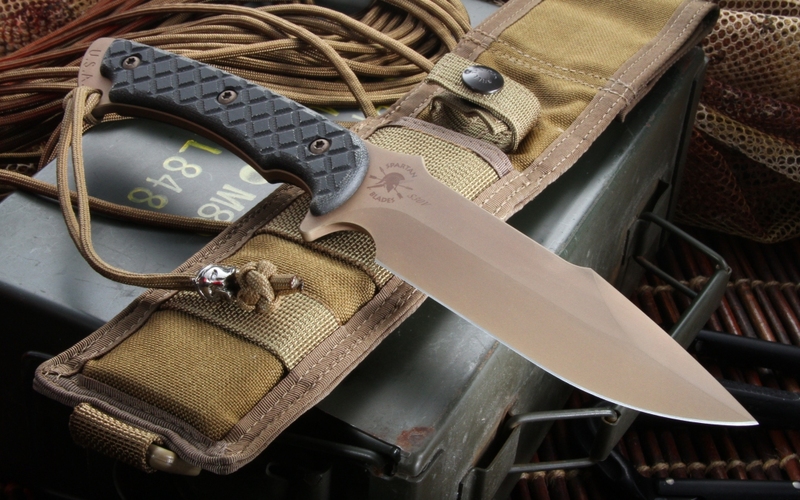 The name of this knife, Horkos, is a sacred oath in the Greek language. 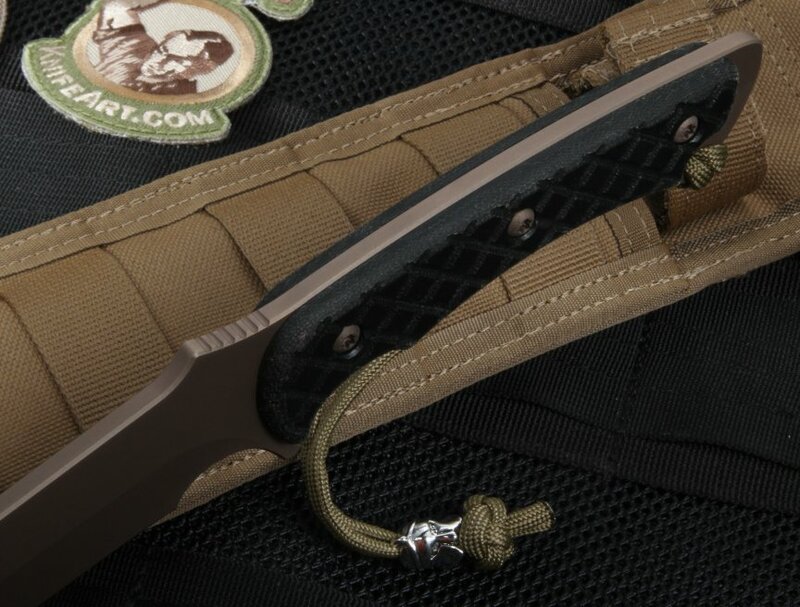 The knife package is completed with a tan nylon MOLLE sheath, lanyard with Spartan helmet bead (specially included with the Spartan Blades that KnifeArt.com sells) and a lifetime warranty.